As each letter page is completed, it's glued to the bottom of the previous page, creating a long roll of alphabet letters that are then rolled up scroll fashion onto cardboard rolls. 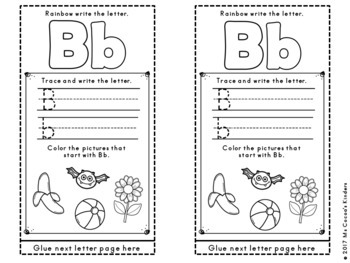 This is the perfect activity for a literacy center or for a fast finisher. Just have them get their scroll to add on the next letter page. 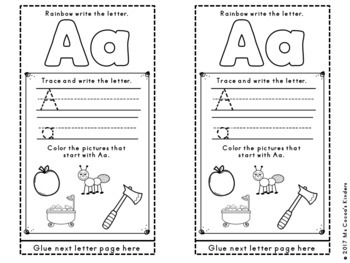 It can also be done as a whole group activity as part of the letter of the day table work. It's fun, it's different, and it's engaging! 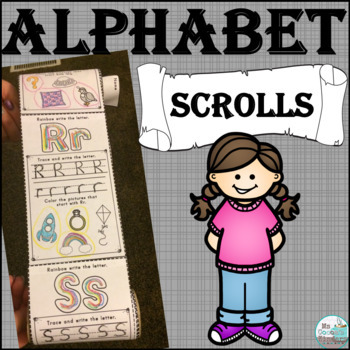 Your students will absolutely love making their alphabet scroll! Included in the product are directions of how to create the scrolls with pictures of each step. Very easy for even a kindergartner to put together independently! NOT INCLUDED - cardboard rolls (toilet paper rolls work best, but paper towel rolls can be cut in half) 2 rolls are needed for each scroll.